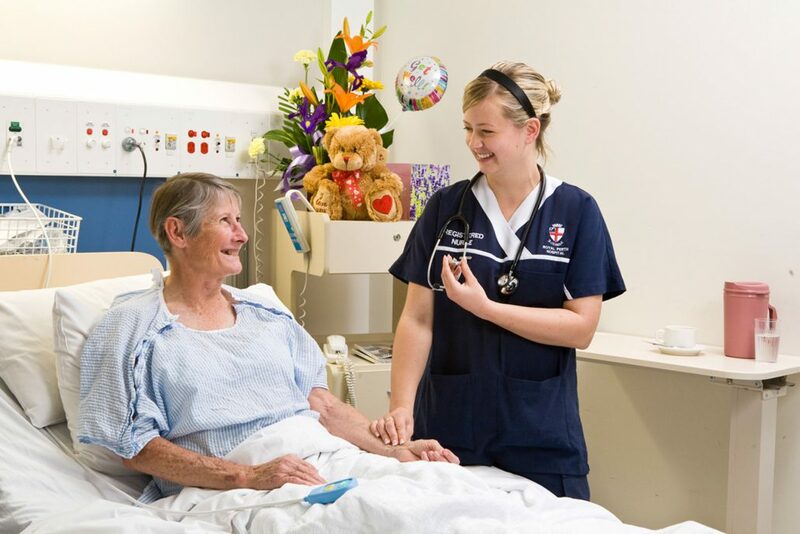 Two Royal Perth Bentley Group (RPBG) nursing projects were presented at the recent International Congress for Innovations In Nursing (ICIN) conference held at the Pan Pacific Hotel in Perth on the 29-30 November 2018. The conference showcased innovations and leadership in clinical nursing practice, research and education. The two RPBG presentations highlighted the great work that is being undertaken by RPH nurses and the abstracts are listed below. Arguably; the patient is the most dynamic education resource in any hospital but is frequently overlooked. Existing models of care and time pressures often restrict opportunities for active role modelling with nurses predominately working independently in isolated sections of the unit. Role modelling at the bedside rather than in the classroom promotes behaviours that support a culture of patient-centred care. Structured bedside education to involve patients / carers creates an opportunity to refine clinicians’ communication skills and enables the patient to influence risk management priorities. To showcase a bedside coaching innovation that empowers the developing clinician as a role model and engages patients /carers in harm minimisation. An electronic tool provided a script for structured coaching about risk management, simultaneously collecting data to evidence staff / patient engagement and the outcomes of bedside teaching. This approach empowered conversations that addressed individualised patient risks, generating real time improvements in care, showcasing the dynamic clinician role model in action. Patient engagement ensured education was meaningful, engaging and energised staff and patients. Bedside coaching and role modelling was particularly useful in overcoming a perceived taboo about openly discussing risk. This changed the model of care from silently managing risk for the patient to openly discussing risk with the patient. This allowed a wide variety of risks to be identified and actioned collaboratively. Consequently, patients reported increased confidence in staff, felt their concerns were acknowledged and addressed. Staff reported greater satisfaction and fulfilment in the provision of care. By empowering and supporting role modelling, the bedside education project has re-energised the bedside role model, improved data collection and created a format that is dynamic, sustainable, memorable and most importantly FUN! This paper discussed the processes, pathways and planning required to achieve specialist review of rural and remote patients treated by the Plastic Surgery Telehealth Service at RPH, a speciality that manages hand trauma, skin cancers, and general plastic surgery reviews. To achieve service delivery collaborative care with rural services is essential. Providing specialist review to remote and rural patients throughout the biggest State in Australia has been a challenge. Telehealth has enabled the reviews to take place but the significant element for success is collaborative governance. To outline how this model of care is provided and discuss its impact on outcomes and patient care. Demographics of the patient cohort, mechanisms to achieve collaborative governance and problem solving related to the process of care at a distance was presented. In 2017, 2,310 telehealth video conferences were performed by RPH with an average of 2.5 sessions per patient. The service reached patients in remote communities that had very restrictive health services (19.2%) and also reached patients in very remote communities that had very little accessibility to health services (37.5%). The DNA rate was low at 12%. Sixty four percent of patients required investigations and 86.6% required clinical support for their condition. This service demonstrated that it is possible to provide a service for both trauma and post-operative management of patients living in remote and rural sites if health professionals work together, demonstrating the importance of collaborative governance.